I didn't realize consumer tubes were that restricted on how they can run 240p and up. Ditch that Sony already. It's like your girlfriend is an idiot but you won't leave her because she's really good looking. Totally agree. Love the enthusiasm for learning! For those with more expertise on crt's, is any setting in my service menu that might help alleviate this issue? I never thought about digital chassis as having a serious downside before. 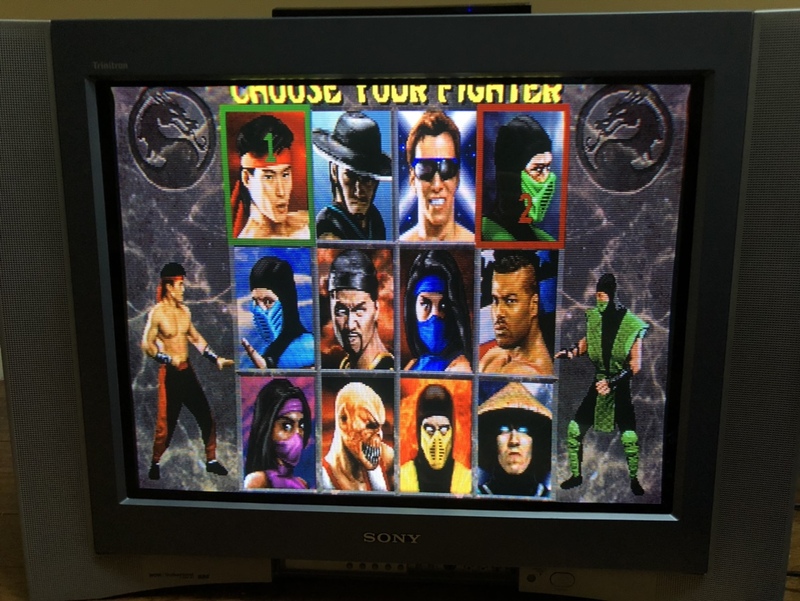 I've been able to run every single game system flawlessly with the best picture I've had on any crt before (and I went through countless ones to find this). However Groovy is the first bump I've encountered where it's just not able to work it. 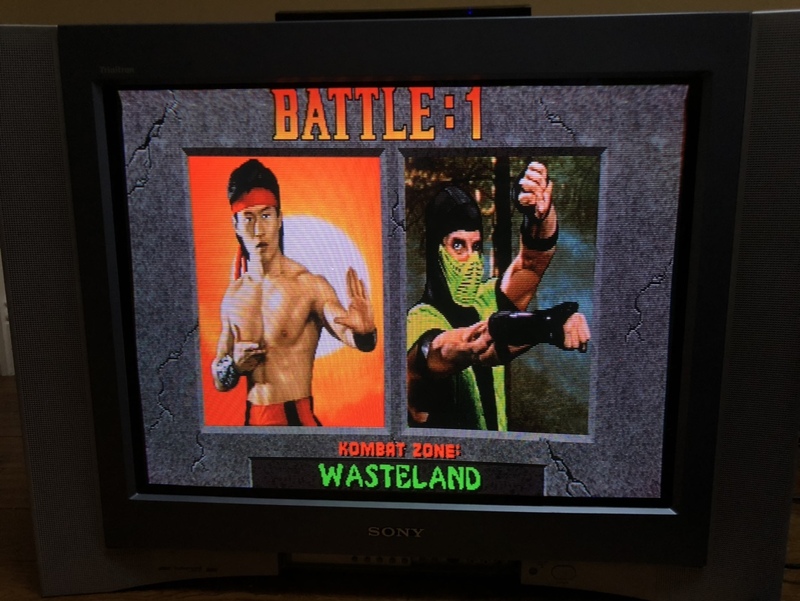 I'm not in the mood to undergo a CRT hunt at the moment but I will do it sometime, a Groovymame dedicated tube that runs everything would be ideal, but I can already tell in my area it's going to be a real ordeal to find such a tv. Here's my mame.ini Is there anything there that's getting in the way for 240p and up to get fully displayed? 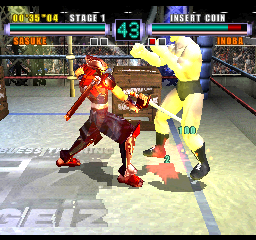 I don't have individual game inis for 240p content so nothing should be overriding this. Now I have to figure out what I did wrong for my resolutions to be cutoff on the sides/top/bottom. But after this when I do the third extra line I end up in 480i. Ok I gotta know. Are you independently wealthy or just that dedicated that you are taking time off work? (I'm working from home today too, my kid has a cold and didn't go to school today. Aside of the paypal fee, donations come directly here, yes ). Calamity are you from South America? 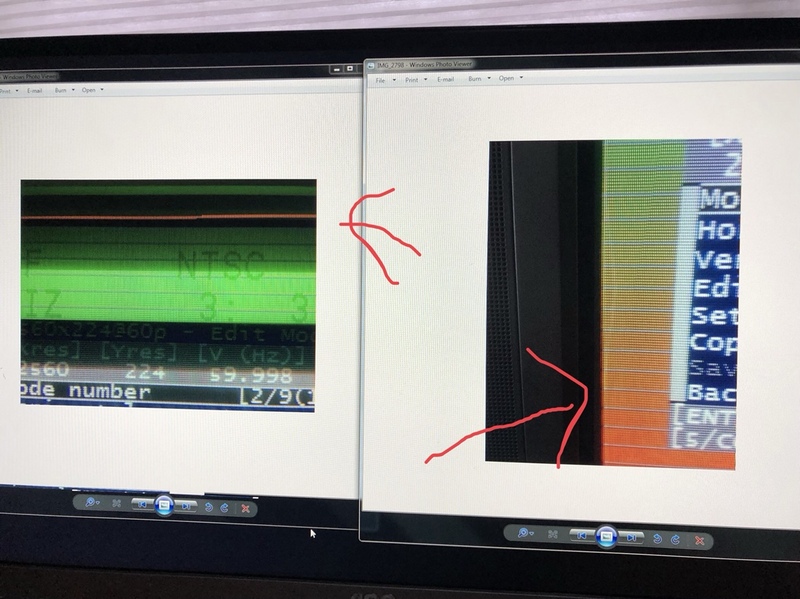 Out of curiosity I did test my other tv's (all same era Sony silver case and digital chassis) and although the default setting ranges differ the ultimate result is the same, where it seems to stop at 240 on the spot. I think the larger tv I have might offer a few more lines since Arroyo doesn't seem to have a problem with his but that tv has poor focus and sharpness and the picture tube just isn't anywhere close to the condition of these others so I wouldn't want to use it for this anyway. The engineers probably never imagined consumers would use these tv's with something like emudriver to force higher resolution to the tv. Nice. 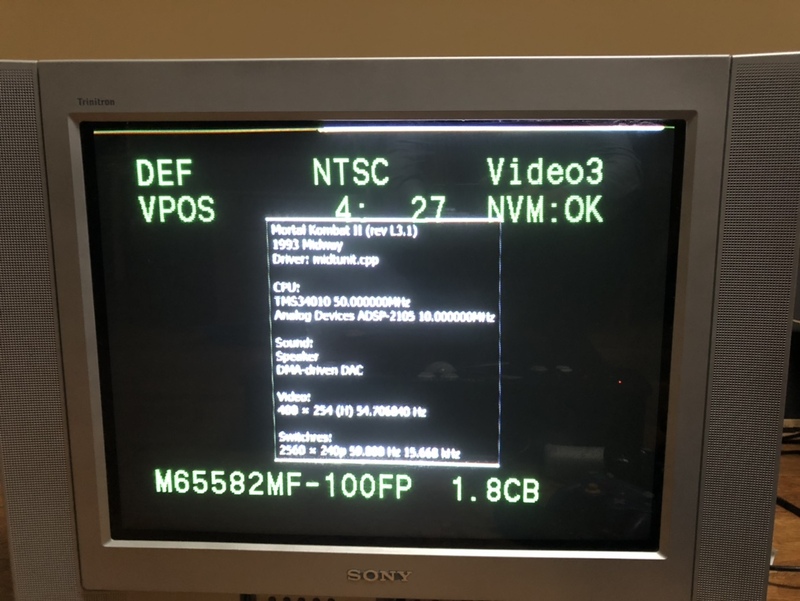 no wonder you're able to find nice crt's. That looks amazing. Really beautiful picture on the fv310 (in saying this I'm somewhat indirectly complimenting my own tv too lol). You don't mind the slightly off aspect ratio though? If I did it that way I would stretch the horizontal evenly to have four thirds of the pixels missing top and bottom off screen left and right to maintain proper ratio but I'm a bit of a stickler for aspect preservation. I think you will find your tv is horizontally compressed for 256p content but fairly minimally. 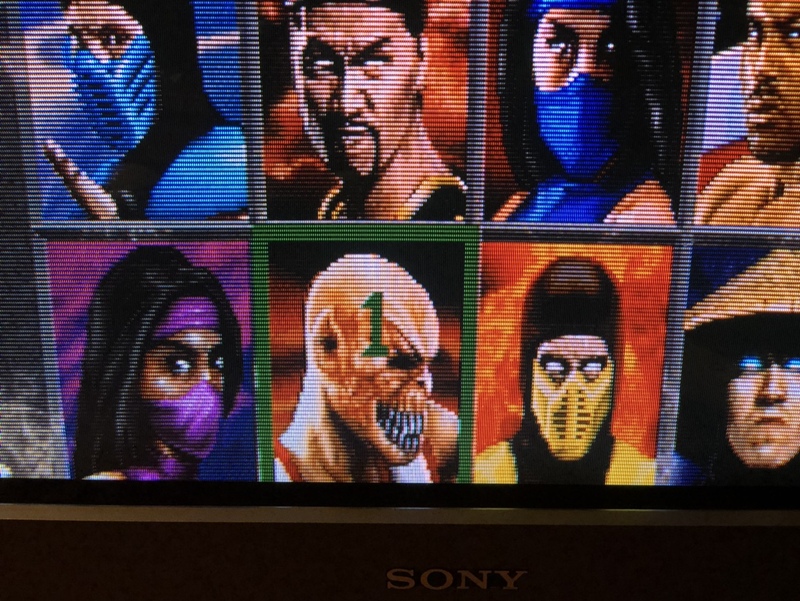 I can tell because I'm quite used to seeing MKII. 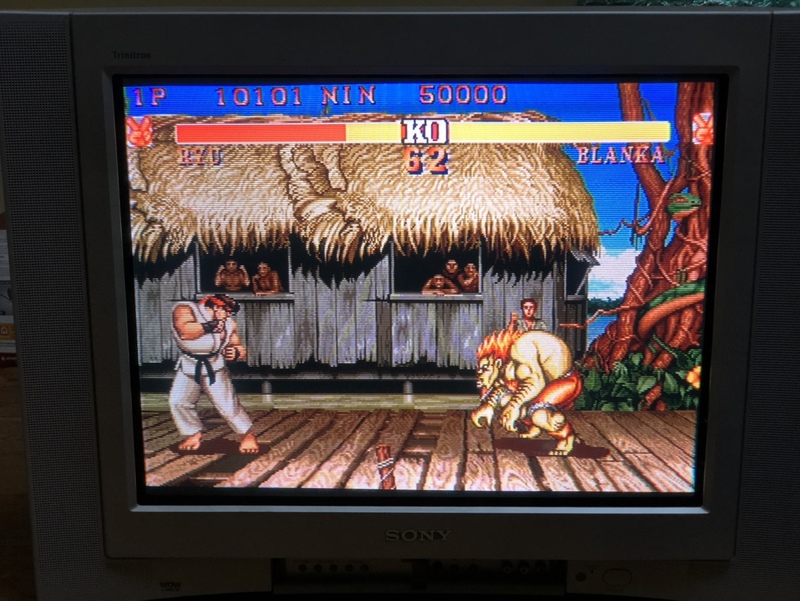 If it is and you want to correct it you can leave mame settings as are, adjust the porches and check till it fits, once it does you can revert the mame settings to 1000 but now you will know that the aspect ratio is preserved. The examples you showed above on that arcade cabinet to me look like on the opposite they might be slightly horizontally expanded, and actually this was more common in the arcades. 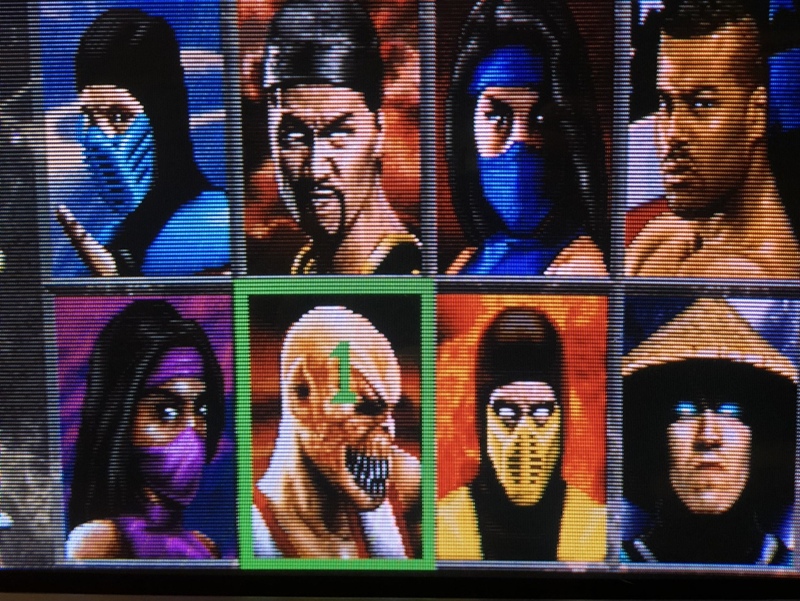 When they adjusted the settings in arcade cabinets it was more important to have the vertical image fully shown as there were often texts that would be noticeably clipped if they weren't but when doing horizontal size it is more common for the extreme edges to have geometrical imperfections and instead of trying to work on it more they would often times just shove a few lines off screen since it would rarely be noticed. I don't think people were asking those kind of questions back then. 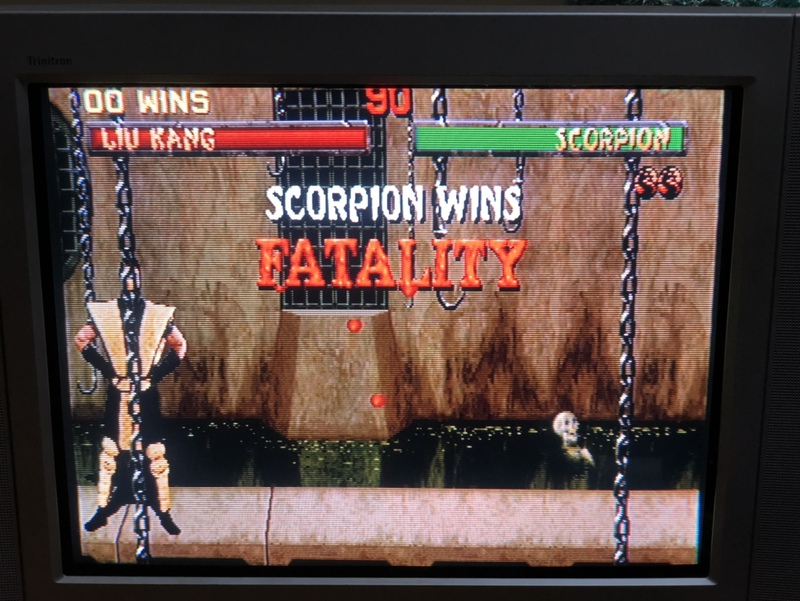 The only tv's and monitors we had in arcades and at home were 4:3 so it wouldn't have made sense for game designers to purposely want to miss out on screen space by using resolutions such as 5:4 or 3:2. If you look at CPS games in their pixel resolution then you'll notice everything looks fat, that couldn't possibly be what they intended right? They purposely drew the characters that way knowing it would be stretched inwards to properly fit the screen. Page created in 0.441 seconds with 134 queries.